Corneal transplantation, also called as corneal grafting, is a surgical procedure where damaged or diseased cornea is replaced by donated corneal tissue. The cornea is the transparent front part of the eye that covers the iris, pupil and anterior chamber. Physicians use cornea transplants to treat vision loss due to scarring or disease. During the procedure, the surgeon replaces the damaged outer lens of the eye using tissue of a donor individual. The transplant helps to restore vision, improve the appearance of the eye and decrease pain associated with a damaged cornea. The cornea is a clear tissue located in the front section of the eye, through which light passes before it reaches the pupil. Infections, scarring, and degenerative and inherited conditions can injure the cornea and negatively affect vision, making a cornea transplant necessary. During the cornea transplant surgery, patient will be anesthetized. This is an outpatient procedure. After the procedure, your physician will give antibiotic drops to the patient to ensure that infection doesn’t take place. 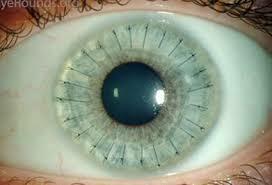 There are a few types of cornea transplant surgery. The most conventional that’s been around for more than 100 years is called penetrating Keratopathy (PKP) which is full thickness of the cornea. Newer procedures are DMEK Descement’s membrane endothelial keratoplasty and DSAEK Descement’s stripping automated endothelial keratoplasty is partial. After the recovery typically they return the following day for a follow-up visit. Vision continues to improve up to a year after surgery. After recovery, your vision might be worse than it was before while your eye gets used to its new cornea. In fact, the healing process can take from several weeks to months.